After 2 years playing with 10th place Exprivia Molfetta in the Italian Serie A, Italian libero Daniele De Pandis will be joining the 2nd place Diatec Trentino for the 2017/2018 season. 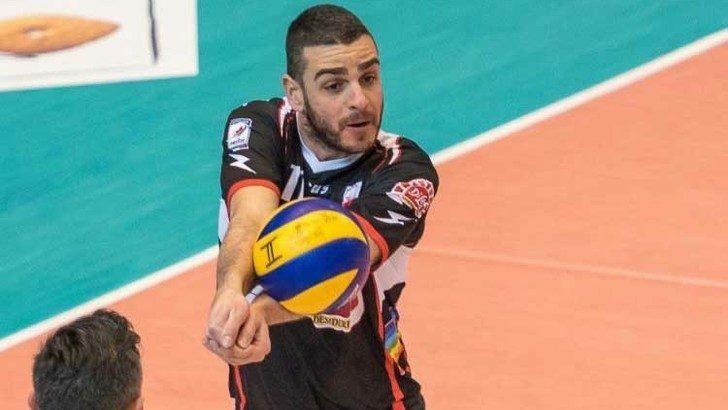 The 6’0″ libero has excelled in serve receive, recording 779 perfect receptions over 115 matches, being awarded the title of best receiver in all of Italian Serie A. The 33 year-old De Pandis will compete with the 24 year-old Matteo Chiappa for playing time, but is expected to take the starting job if he can continue his strong performance in serve receive and continue to improve his defense. Trentino lost in the Serie A semi-finals last year to Lube Civitanova by a series score of 3-1.